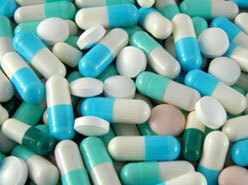 Currently, anti-seizure drugs are the mainstay of medical therapy for epilepsy patients. There are a variety of anti-seizure medications on the market; all have been proven to be effective at controlling seizure activity either alone (as mono-therapy) or in combination with other medications (adjunctive therapy). Anti-seizure medications may be more or less effective, depending on the type and exact nature of the underlying seizure disorder. Still, approximately 1/3 of all epilepsy patients do not become seizure free with one or more anti-seizure medications (drug-resistant, medically intractable, or refractory seizures). Not all anti-seizure drugs work exactly the same way, nor do they all have the same side-effect profile. Some medications have been available for a very long time, whereas others (novel-generation anti-seizure medications) have been available for approximately a decade. Still others are still being researched and are on the forefront of epilepsy drug development. It is very important to discuss the possible options with your treating epilepsy doctor.